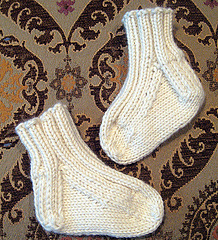 Summary This beginner sock project is recommended by Charlene Schurch for learning sock anatomy and techniques. 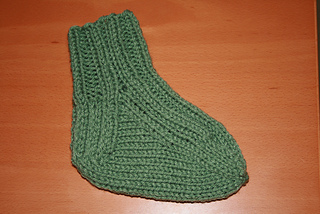 It will make a small, cute sock (32 stitches around). 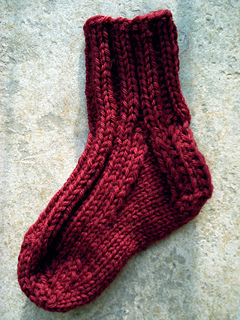 Instructions are included for four or five double-pointed needles, and two circulars.